The ferry Shoyo Maru collided with anchored freighter off Kure port in Hiroshima, Japan. 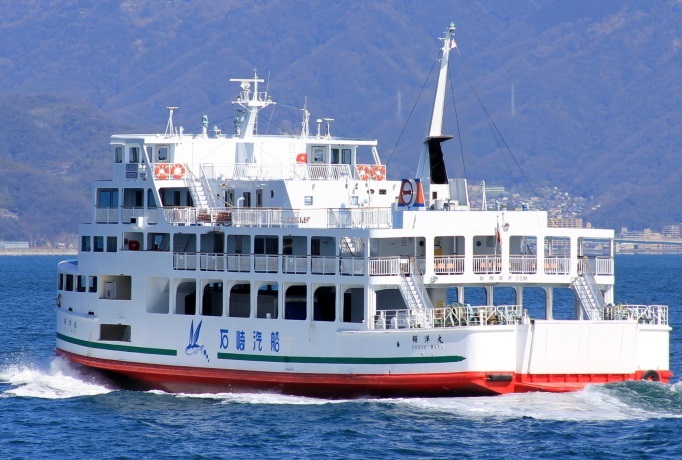 The ferry with 62 passengers on board was maneuvering to leave the port en route to Matsuyama, but suffered engine failure and lost propulsion power. 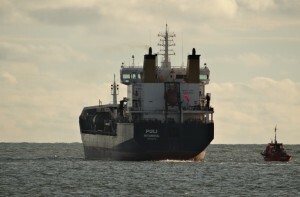 The ferry collided with anchored cargo ship on 2 nautical miles off the shore. The accident happened in slow speed and both vessels suffered slight damages, remaining seaworthy and afloat. The ferry Shoyo Maru was towed back at the berth for repair of the engine and further inspection. Three from the passengers on board were slightly hurt, but without serious injuries. They were taken to the hospital and then released for home treatment. The local authorities started investigation for the root cause of the accident and will make a special survey of the passenger ferry Shoyo Maru. The traffic in the port was not affected by the accident. There is no information about water and environmental pollution. The ferry Shoyo Maru (IMO: 8920804) has overall length of 55.90 m, moulded beam of 14.00 m and maximum draft of 3.00 m. The deadweight of the vessel is 245 DWT and the gross tonnage is 696 GRT. The ferry was built in 1980 by Kanda Shipbuilding and operated by Japanese company Ishizaki Kisen.